From local to federal, from emergency management to employment, LSPS provides the tools governments need to make their activities more agile, transparent, and intelligent. The results are a win for the government and a win for its citizens. LSPS Case Management transforms raw data into intelligent, goal-oriented processes. Whitestein's intelligent, government CRM provides a powerful tool to facilitate communication, improve customer experience, and increase efficiency. LSPS helps turn over-burdened and often manual claims systems into highly efficient systems that are transparent and auditable. As the size, scope, complexity, and geographical reach of organizations expand, comprehensive, real-time visibility and control over resource deployment and activity is essential. Intelligent project management applications for the public sector. The goal of case management systems is to transform raw data into actionable, intelligent decisions. With LSPS, government agencies achieve these goals. Government agencies are required to manage complex systems with enormous data requirements. LSPS' case management system provides the tools to manage this complexity, which encompasses legacy applications, large data stores, and paper-based workflow. While many case management systems provide the means to collect, organize, and store data, to manage workflow, and to accommodate decision-making, this is often an expensive and non comprehensive approach, LSPS changes this status quo. Designed to easily integrate into the existing infrastructure and connect to multiple data sources, LSPS allows fully integrated case management. As a standards-based, intelligent solution, LSPS' goal-oriented, model driven approach does not require a complete redesign and rebuild of entire systems. Instead, legacy systems remain intact, minimizing the necessary investment and saving time and money. Intuitive, Web-based, and customizable, all users are able to view status and manage their tasks via the LSPS dashboard. Managers can be notified of pending issues, alerts, status updates by a variety of social media, as determined by each LSPS customer. As users navigate through their workflows, LSPS Goals provides the ability to have the system suggest or select plans that achieve the goals in the most efficient manner, without losing sight of pre-defined requirements. Living System Customer Relationship Management (LS/CRM) is a multi-faceted, goal-oriented, process-centric customer management tool that provides many benefits to the government sector. It facilitates and automates communications between agencies, citizens, employees, and contractors. Governments want to remove complexity, streamline processes and services, and to intelligently reduce wasteful spending. LSPS CRM provides the tools to accomplish these goals. What is the point of having a CRM system if it doesn't help to fulfill your objectives? 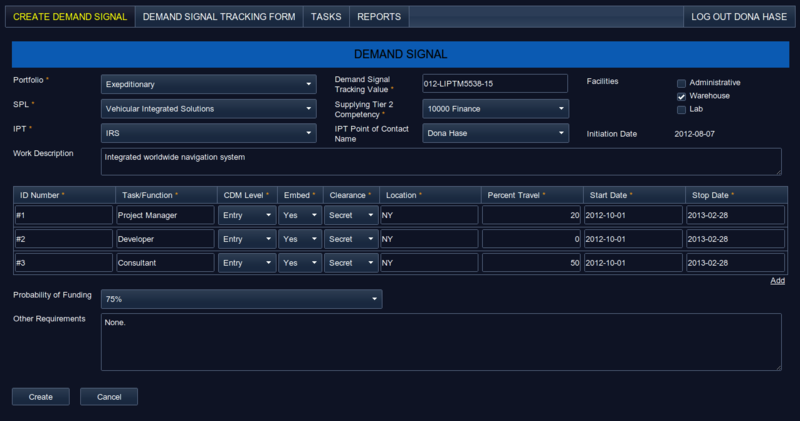 LS/CRM enables you to express your mission and business goals as part of the model and execute them directly. The CRM system harmonizes all these aspects (data, processes, organization, rules), shows a real-time visualization of the live customer relationship, and can be customized and extended in-flight, while normal customer facing operations are happening, for boundless agility. Goals express the overall vision of customer management and are linked to both activity execution (contacts, campaigns, claims, projects) and performance optimization (KPI gathering and monitoring, automatic self-improvement, recommendation and decision support system). Automating tasks and workflow reduces paperwork and errors. A central database that can cross government divisions allows both a reduction in duplicate work and a more efficient transfer and tracking of information. By accessing all of this information through an intuitive dashboard, staff are able to view status, next steps, identify issues, and predict potential problems. 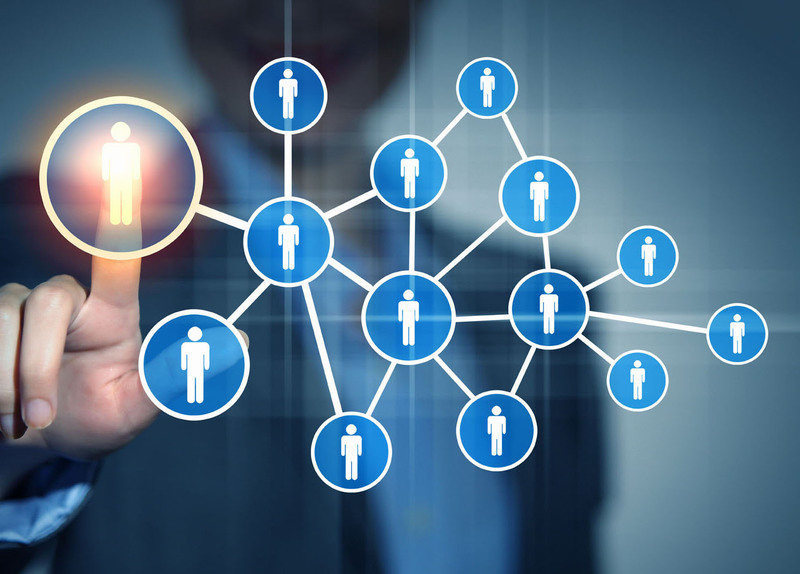 Comprehensive search and filter tools ensure that staff can easily direct communications and/or tasks to the appropriate people and departments. The general descriptions for the core CRM elements, such as customers (i.e. veterans, citizens, employees, contractors), accounts, multiple roles, contractual arrangements, and actions, can be extended and specialized for different needs. Moreover, it is possible to run side-by-side different variations of the same model (e.g. customers in different counties or states are described differently). The modification of customer data can trigger specific actions and workflows. Groups of customers and specific business goals can be aggregated to define campaigns. Customer and agents (department employees, customer service, etc.) are managed within a case with customized success goals and workflows. Web-based UI allows business owners to browse and modify customer data, with navigation on a graphical representation of relationship networks, and access interface to customer-relevant documents. Review processes that can be triggered automatically by certain events (i.e. policy changes), data values, or by manual activation. Search queries can be performed against multiple criteria, i.e. primary location, age, employment status. LS/CRM applies goals, processes, and rules while letting agents work most comfortably. A task list holds currently possible actions, and case-driven operations are also found by navigating customer and campaign bases. Agents can adopt and blend both working styles for maximum effectiveness. Each case features a self-contained real-time monitor that immediately informs on the case evolution while it happens. The business dashboard adds customizable dynamic reports to always see things in the right perspective. LS/CRM is a full-fledged system that can be deployed standalone, providing everything from a database connection to a dynamic Web-based user interface. Due to its flexible architecture and reliance on open standards, it serves equally well as the CRM module of a core banking system, an ERP, or any other system requiring customer resource management. The CRM platform leverages the process services of the Living Systems Process Suite, which provides next-generation business process management on a fully standard JEE infrastructure, supporting all the most popular application servers, database management systems, and computing platforms. LSPS is well recognized as a leader in intelligent, goal-oriented BPM. As the only intelligent BPMS provider approved by One-VA TRM, LSPS is the ideal tool to revolutionize government claims processing systems. While not all claims processing systems are alike, each with their own quirks and problems, the ultimate goals remain the same. Governments want efficient, accurate, transparent, and audible processes that easily connect departments. The solution must be user friendly and be adaptable to changing needs. Equally important, governments want claimants to have a satisfactory experience in quickly having their claims resolved, without the notorious red tape and delays that people fear. By using LSPS' unique goal-oriented technology to achieve a rules-based claims adjudication system, our customers are able to accomplish their goals in the most efficient manner. Not only does LSPS help minimize processing issues that occur, but proactively works to avoid trouble spots, such as bottlenecks, by identifying and remedying those scenarios before they become problems. Deployment is done per each project's needs, such that each roll out provides the ability to fine tune the processes via Web-based dashboard. Control lies with appropriate stakeholders to enable or disable settings and to establish/modify dynamic thresholds. Streamline processing, eliminate backlog and reduce claims processing times. For any business, keeping processes relevant and optimized is critical, as is ensuring that resource planning remains in line with overall strategic objectives. As the size, scope, complexity, and geographical reach of organizations expand, comprehensive, real-time visibility and control over resource deployment and activity is essential. LSPS Enterprise Resource Planning solution is a goal-oriented, process-centric system for managing all aspects of project and activity resource provisioning, onboarding and operation. LSPS ERP can advise business owners of potential delays, cost savings, and options for resource re-depolyment to circumvent delays or to accommodate changes in prioritization. Business users access LSPS ERP through a web-based browser, allowing not just current knowledge of resource status, but the ability to make resource decisions in real-time. Real-time tracking of who and what is available when and where, including alerts for changes, as defined by the business owner. Should a project be delayed, the business owner can receive an alert both of the delay and of the impact on related projects and timelines. LSPS ERP's goal oriented approach enables LSPS Enterprise Resource Planning to recommend or implement changes to achieve preset goals while complying with established boundaries. (Re)distribution of resources based on preset priority goals can be accomplished in real-time or first in a simulation environment, thus providing the business owner with the full picture and impact of any changes. Identification of available resources, human and nonhuman, that can reasonably be used for multiple projects. From employees and contractors to ICT Systems, the understanding of both what is required and what is available eliminates frustration and unanticipated delays and costs. Business needs can quickly change based on multiple factors, ranging from revised regulatory requirements to client demands. LSPS ERP enables business owners to reprioritize resources, view the impacts before implementation, and efficiently manage the changing of project priorities. New resources, transferring existing resources, sharing resources, contractors, and full time employees frequently requires following approval procedures. Instead of employees wasting time trying to comply with procedures that may vary by type of project, type of resource, division or business line, LSPS ERP simplifies the process by identifying the process flows in easy to follow todo lists that then allow employees to focus on more substantive tasks. New projects arise, an unexpected audit is required, a supplier is delayed. LSPS ERP is viewable through a web based browser, allowing business owners access to all necessary information regardless of location. LSPS ERP can suggest resource changes or provide alerts of changes. When changes are implemented, notifications can easily be sent to all necessary parties by a variety of media, from SMS to twitter. From the macro to the micro view of resource management, LSPS enables the business owner to review how the processes are working. For example, are particular estimates of task allocation always accurate, what consistently has the most impact on changing resource needs, where are delays frequently incurred, or what are the resource cost implications when viewing multiple projects proposed over multiple years. In turn, this information lets businesses make informed decisions, saving time and money. 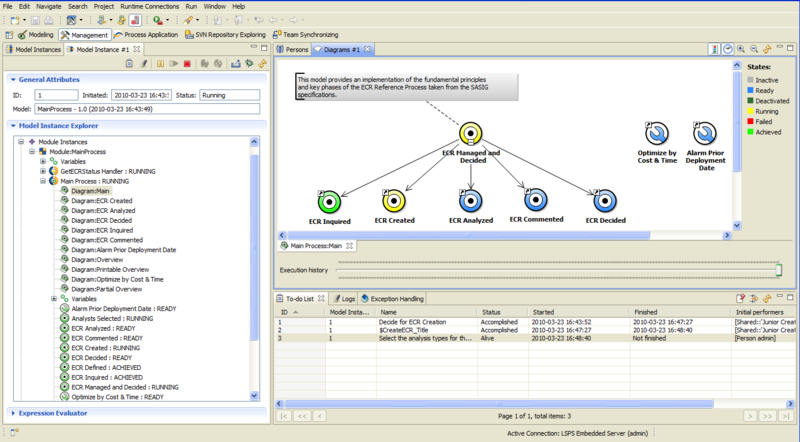 The LSPS Enterprise Resource Planning solution leverages the process services of the Living Systems Process Suite, which provides next-generation business process management on a fully standard JEE infrastructure, supporting all the most popular application servers, database management systems, and computing platforms. LSPS is a proven performer in the area of project planning in the public sector. The platform’s extensive set of built-in features includes the building blocks necessary to compose elegant, enterprise-level portfolio planning and management systems. LSPS provides a customizable portfolio reporting application with an integrated management environment that is both comprehensive and transparent. With an intuitive look and feel, it allows stakeholders and decision makers to have full access to status and ensures consistency across entire portfolios. Set up and manage multiple projects for management, across the portfolio. Role-based hierarchical access built into the application, combined with enterprise-level authentication and authorization means access is secure and properly segmented. Perform on-boarding and off-boarding of project personnel, collecting and disseminating key data at key points in the process. Grant privileges and accounts to system users, including the recording of approvals to project resources. Import standard file formats for the automated processing and generation of system records and artifacts. Utilize 3rd-party resources to influence project configurations and process business rules. Enter and manage risks and issues, routing items as necessary to ensure transparency and visibility across the project and portfolio. Escalate and delegate work items to project contributors in a streamlined, efficient manner. Track the procurement and full life-cycle of project assets, utilizing monitoring reports and widgets. Automate the delivery of required email communications and project collaboration tools. LSPS SharePoint libraries facilitate integration with SharePoint services, providing a hub for enhanced application content features and behaviors. Project- and portfolio-level reporting offer drill-down and drill-up capabilities, combined with rich interactive dashboard components. Intuitive report filters scope queries to retrieve pertinent business and process data, enabling increased visibility and insight by key stakeholders and decision makers.